Mixed martial arts star Evan Tanner was only 15 miles away from the town of Palo Verde when he apparently died from heat exhaustion in the open desert, a sheriff’s deputy said Tuesday. The 37-year-old former Ultimate Fighting Championship middleweight titleholder was found Monday not far from his campsite in the Clapp Springs area of the Palo Verde mountains. Sheriff’s authorities confirmed the identification of Tanner’s body Tuesday. Evan Tanner, of Oceanside, carried bottles of water with him but they were empty, Imperial County sheriff’s Deputy Justin Hettich said. Tanner’s supply of bottled water was exhausted at his campsite as well, according to Hettich. Contrary to online reports which suggest that Tanner called a friend by cellular phone to report his motorcycle ran out of gas, Hettich and sheriff’s Lt. George Moreno said the motorcycle did have gas. Tanner brought his off-road bike for his camping trip. Hettich said Tanner wore a black T-shirt and pants when a helicopter pilot from the Marine Corps Air Station Yuma spotted his body a couple of miles from where he camped. Authorities suspect Tanner had died from exposure to sweltering weather conditions that reached more than 110 degrees, but an exact cause of death won’t be determined until after an autopsy is performed, Moreno said. When Tanner, a native of Armarillo, Texas, failed to return text messages last week his friends reported him missing to sheriff’s officials Friday. His campsite was found Sunday. Tanner had fought professionally since 1997 and was active with the UFC. He was also a heavyweight champion fighter for the Unified Shoot Wrestling Federation. 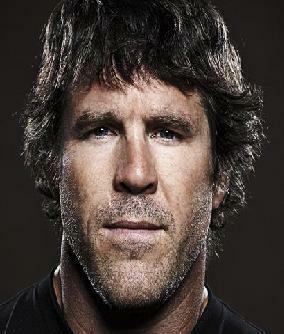 An autopsy conducted last Tuesday did nothing to change the speculation behind the death of Evan Tanner. The County Coroners office says the official cause of death is being listed as pending. Toxicology tests have been sent away to a forensic lab. It will be four to six weeks before the results are returned. The cause of death is pending those results. Tanner had retired from the Mixed Martial Arts, but recently un-retired. It is not known if he had any matches pending at the time of his death. Evan Tanner traveled to the Clapp Springs area of the Palo Verde mountains last Wednesday on a dirt bike with the intention of finding a suitable spot to set up camp. But that afternoon he phoned a close friend to say that he had run out of petrol. That was the last anyone heard of him. He was reported missing by concerned friends on Friday but it took two days for search and rescue teams to locate his campsite. Nicole Richie Reportedly Moved Out Because of Mischa Barton?